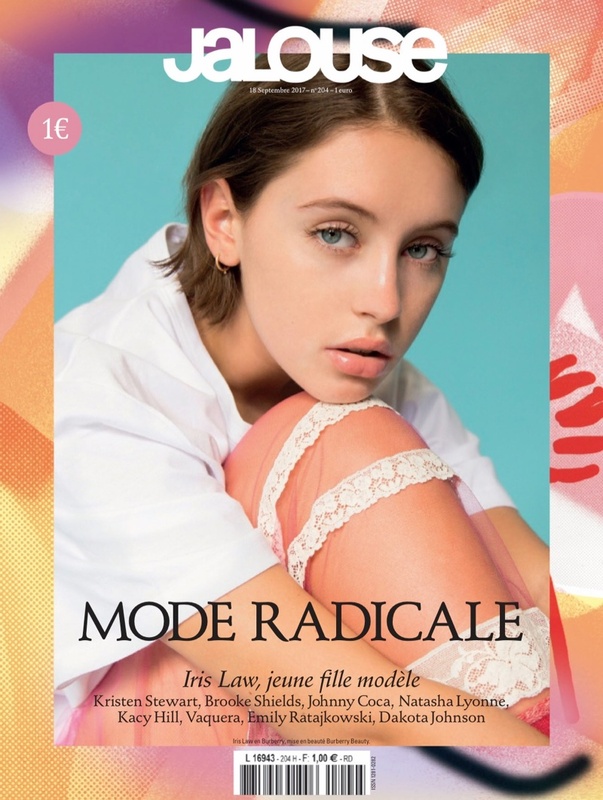 Iris Law graces the September 2017 cover of Jalouse Magazine. Lensed by Daniyel Lowder, the 17-year-old model wears a shirt and lace-trimmed skirt from Burberry. Inside the fashion glossy, Iris impresses in pastel styles from the British fashion brand. Stylist Jennifer Eymere dresses the brunette in a mix of embroidered coats, pretty dresses and knit separates.